The MS Hoppestosse is a spectacular and unique location on the boarder of in Berlin’s most dynamic and creative district - Kreuzberg. 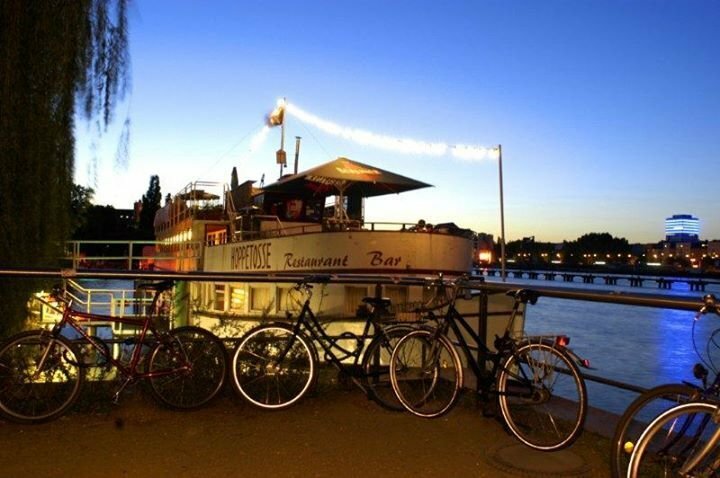 With 2 inside decks and an outdoor top deck offering stunning panoramic views over the Spree and across central Berlin, this location has the factor that will make your parties and events stand out occasions to remember. Moving into a new era, the MS Hoppetosse is now under the same management as the legendary Club der Visionäre and will also double as the clubs new indoor, winter location. Looking for a show- stopping, one-off, real Berlin location for your event or party - then contact us for information and availability for private hire.